The other day, my mother, recently widowed after 70 years of marriage to my beloved dad, received a card containing an inspirational verse. It came from a family friend, who volunteers at a hospice. As a volunteer at a hospice she is well versed in what words can support a person through grief and ease their pain. While her prose was touching, what struck me first were the graphics she had used to enhance the front. Two gorgeous iridescent butterflies helped to convey what was the perfect message of solace and peace. 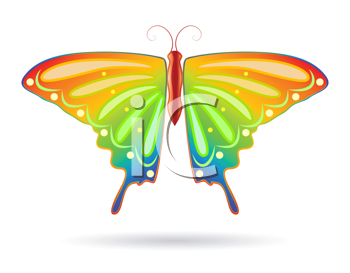 Butterflies have long been symbols of hope in bereavement. I know that I felt comforted simply looking at them. Yet, somewhat holographic and full of bold colour they were also tiny works of art. 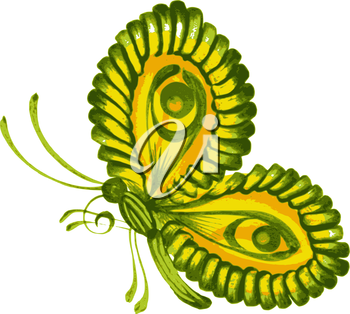 Captivated by the aura and beauty of butterflies, I was quite intrigued by the design and details. Eventually, my mind turned to the fun in being able to create images such as this and once again to the magic we create with Photoshop. A few years ago, when a long-time friend passed away, I considered what I might offer his family as a gesture of condolence. Though my mind flipped through several ideas, one kept coming up again and again — a butterfly bush. Trees and shrubs are often viewed as symbols of eternity and therefore given as memorials for loved ones. One, therefore, that had the added feature of attracting butterflies was clearly the perfect choice. 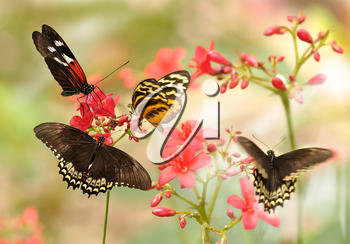 Butterflies provide solace and comfort to many people at the time of a bereavement. Their gentle grace brings closer the presence of a lost loved one. Many believe they are a sign from above that the one they mourn is fine. Another friend of mine, who had tragically lost her niece, was working in the garden when grief suddenly overcame her. Sobbing, she turned away from her work to sit, and discovered that her backyard was full of butterflies, dancing lightly on the gentle breeze. It's little wonder with stories such as this that their image often graces literary work on grieving and healing. They are etched in stone on memorials and used as decorative touches on everything from windchimes to jewellery. Spring and summer provides professional and amateur photographers with boundless subjects for their work. From the first bursts of life through rich, dark soil, to the cornucopia of colour in a garden the eyes are treated to a burgeoning world of texture and hue. Wildlife comes out of hiding to celebrate the lush newness of nature, insects, birds and amphibians rejoice in song and activity. An obvious favourite subject, given its beauty and variety, is the butterfly. Whether sitting quietly on a flower, wings wafting like gently-blowing fans, or flitting along on a soft breeze, their appeal is undeniable. Patient shutterbugs zoom in for closeups of this pretty insect on dewy petals or waiting, wings spread, on a warm rock. 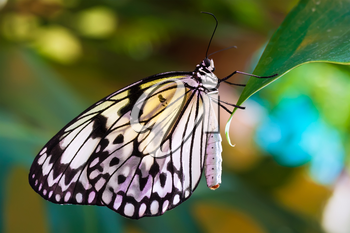 Perhaps it's the short life span, but butterflies are not generally known to sit still long. And skittish by nature they don't often tolerate someone moving in too close. I had my moment several summers ago, though, when a group of Monarchs cavorted for me on some Scotch thistles at the beach. Had I not known better I would have sworn they were performing just for the camera, as they set themselves up in various poses and held them long enough for me to snap some photos. I did win a prize or two for the end result, but I have never doubted for a minute that something magical happened that day and the photographs I captured was less about anything I did than they were about a special moment in time. I simply got lucky.